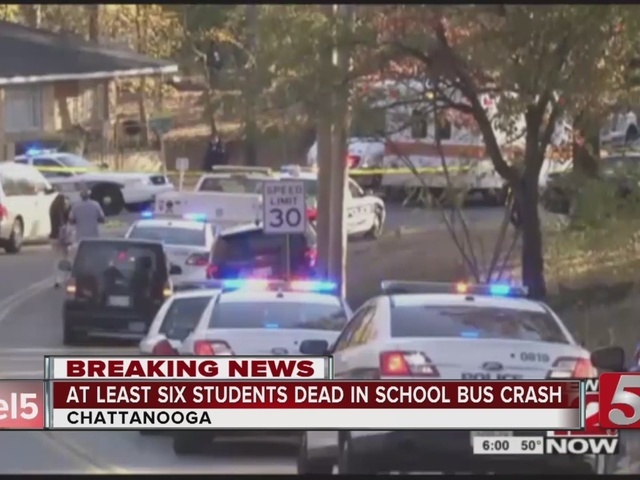 A deadly school bus crash in Chattanooga, Tennessee on Monday has claimed the lives of five children. The bus was carrying 35 Kindergarten through fifth grade students, Police Chief Fred Fletcher said in a news conference. The 24-year-old driver is being charged with vehicular homicide and has been arrested, authorities said. Pictures from the scene in Chattanooga, Tennessee show the bus turned over on its side against a large tree. It happened around 2:30 p.m. Central on Monday, just a few miles from its school. Early Monday evening, the district attorney said at least six children died in the crash, and that five of them died on the bus. One died at s hospital. Rescue efforts took more than two hours Monday afternoon, and investigators were still processing the scene hours after the last child was pulled from the bus around 4:30 p.m. The Chattanooga Police Department called it is a "complicated crime scene." 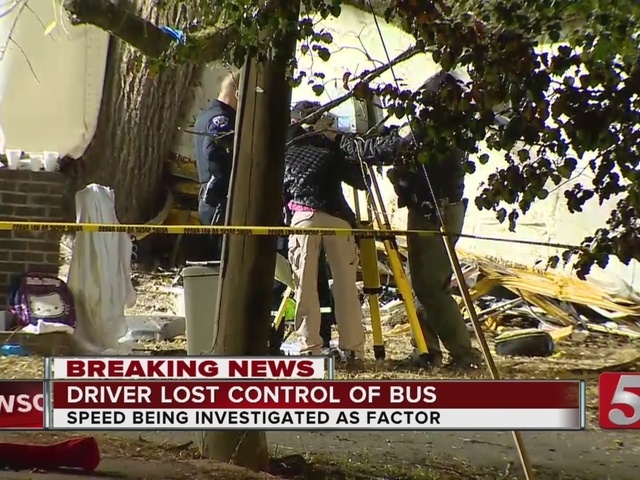 Investigators issued a warrant for the bus' "black box" or any video recorded on the bus. The police chief said speed was being "very very strongly" investigated as a factor in the crash. "This is an issue I've tried to advance since the mid 90s. Putting seat belts on school buses. There shouldn't be a school bus operating in this county without seat belts. We shouldn't have moving vehicles out there without people secured in their seats. Hate to see a tragedy like this. The only good that can come is that no child in the future will not be secured," Hall said.